How to Maintain Carpet | Wolfe Flooring Inc. Maintenance Required. Growing technology has enhanced the durability of flooring products immensely. Yet, our fast-paced world still renders a lot of wear on our floors from spills to the family pet or foot traffic. Regular maintenance and preventative measures can significantly prolong the new look of your important investment. Supremacy of Manufacturer. The following information is the accumulation of many years of experience, the guidelines of regulatory flooring agencies, and the instructions provided by the leading manufacturers of flooring products. The manufacturer of your flooring product may have unique guidelines that should be given seniority over the general advice given by Wolfe Flooring. Documents and Samples. Retain the sales receipt and any product description from the purchase of the goods. If possible, document the manufacturer’s name and the manufacturer’s full product description, including color. Furthermore, retain a sample of the carpet for comparisons. For insurance purposes, it is prudent to safely store a photograph of your new product. Not Initial Care. The following guidelines are for regular maintenance, not initial care. Most likely, the initial care that your flooring needs is different than regular maintenance. Generally, new flooring products need about 12 to 72 hours after the installation before they are ready for furniture, regular foot traffic, or cleaning of the seams, etc. while the adhesive cures. Glueless or loose-lay products are ready for immediate use. Generic Intent. These instructions are for normal carpet in common environments. Techniques, products, etc. change and some situations are very unique; thus, Wolfe Flooring assumes no liability for omissions, errors, or outcomes. These instructions may not apply to special situations. You’re welcome to call us for a specific professional address of your situation. Please exercise general caution implementing any of the following guidelines. Education. Read the manufacturer’s instructions. Print these instructions as needed. Extra Supply & Storing. Retain extra carpet and cushion for the possibility of future repairs. Keep your extra materials (a.k.a., attic stock) in a dry place that stays between 40°F and 90°F. Do not put carpet in humid or hot environments. Humidity (as in a moist basement) can be absorded by carpet and result in mold. Extreme heat (as in an attic) can damage the backing and discolor the yarn. Store your carpet laying on a flat surface. Carpet will conform over time. Do not stack other items on top of the carpet, as the extra weight will lend toward crush marks. 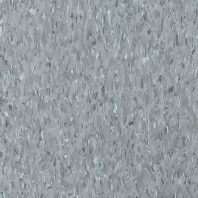 The longer a carpet remains rolled or folded, the more likely the carpet is to develop yarn distortion or crush marks. 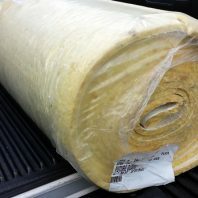 It is best to wrap the remnant carpet on a core if you have enough extra carpet to roll the remnant. Simply lay the remnant flat or fold the carpet remnant in half if the remnant is small enough to avoid rolling. Entrances. Keep the outside entrance areas (e.g., sidewalk, porches, driveway) free of sand and debris. Non-staining walk-off mats (avoid rubber mats) and budget-friendly entry rugs are strongly recommended at your home’s entryways (both inside and outside) to catch most of the soiling. The mass majority of the soil and grit that will fall into the room will do so in the first six feet of the entrances. Transitional mats should be cleaned recurrently; otherwise, the mats will accelerate the soiling. Read a blog article on an overall strategy. Rugs and Underlayments. Area rugs are very helpful in places of high activity (e.g., in front of the kitchen sink) and at pivot-points (e.g., a hallway intersection) to avoid the apparent traffic patterns. Never allow moisture to become trapped under your rug. 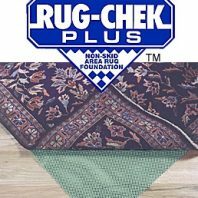 Use rug-on-carpet underlayments under rugs to prevent possible dye transfer and to prevent the rug from sliding or “walking.” Underlayment also benefits by absorbing a portion of the impact of each footstep, which means that underlayment helps the rug experience less crushing. Vacuum Equipment. Use a vacuum with a beater bar on carpet stretched in over cushion if possible. Use a brush model with no beater bar if your carpet is directly glued to the subfloor without cushion. Adjust the beater bar to the correct height to increase suction. Do not put the beater bar so low that the pile is damaged. Especially, watch the threshold areas. The belts and brushes on your vacuum cleaner should be checked occasionally to verify they are in good working order. Change the bag on your vacuum cleaner or empty the vacuum cleaner as specified by the manufacturer to not over stress the engine and to maintain strong suction. Keep Dry. Keep your carpet dry, unless the carpet is intended for a designated wet space (e.g., exterior patio). (Carpet in a designated wet area should be a loose-lay install or have a special adhesive and also should have a special yarn and backing to offer a higher friction coefficient [i.e., more surface grip] and to dry quickly.) Wet carpet presents the risk for (1) slipping, (2) mold or mildew, (3) discoloration, (4) delamination, and (5) adhesive failure (if installed by glue). Be especially mindful of walk-off moisture or drips when weather conditions outside are wet or snowy. For safety, immediately direct a fan toward the area of moisture. Fans will accelerate drying. Warm air is more effective than cold air to dry up moisture. Professional Cleaning. Have your carpet professionally cleaned on a regular basis. Recommendations vary as to which method and as to how frequently. Abide by the manufacturer's directions if given. We recommend that you have your carpets professionally cleaned before the soiling becomes noticeable. (Carpet next to the walls will typically retain an original color for your comparison.) Sand and grit accumulates at the base of the carpet’s pile before it is noticed at the top of the carpet’s tufts. Sand and grit are abrasive to the carpet yarn, thus shortening the carpet’s life span. Another reason to clean the carpet frequently is that we spend most of our time indoors. Clean carpet contributes to a healthy home in many ways, including the indoor air quality (IAQ). The average residential carpet needs to be professionally cleaned about once per year. Homes with small children or pets may need professional cleaning about three times per year. Some manufacturer’s warranties are void if the carpet is not professionally cleaned at least every two years. When carpets are "steam" cleaned, the hot water used should be between 130-150 degrees Fahrenheit, depending on the type of carpet you have and the type of soiling. Wool carpet requires lower temperatures, mild detergents, and extra drying efforts. (Lower temperatures are less effective at breaking down oils and soiling. Higher temperatures can damage the backing and remove stain resistance qualities.) The professional cleaning company that you select should leave little residue by using high-quality solutions and by doing a good extraction/rinse. Detergent residue left in the carpet will be sticky and thus cause the carpet to re-soil more quickly. The professional cleaning company should also safeguard against things like yellowing and overwetting which can cause the carpet to sour. The following organizations and manufacturers of carpet and carpet yarn endorse steam cleaning (a.k.a., the hot water extraction method): DuPont, 3M, Queen, Honeywell (formerly, Allied-Signal), PatCraft, Designweave, I.I.C.R.C., C.R.I. (Carpet & Rug Institute), Wear-Dated by Solutia (formerly, Monsanto), and others. Soiling, Stains, Spills, and More. See our Carpet Spot Cleaning Guidelines and Carpet Stain Removal Guide. Repairs. Tend to repairs immediately to limit exposure and to keep repair expenses as low as possible. Place a caution sign on or near a damaged area if a tripping hazard develops. Place painters’ blue tape or a mat over a transition or flooring that is lifting. Clip short yarns that are higher than the pile, called “sprouts.” Do not cut long yarns nor pull long yarns, especially if your carpet is a loop-pile. Long yarns can be retufted in some cases. Wrinkles need to be restretched. Carpet with mold damage, a burn, a bleach mark, or a tear needs to be repaired by section replacement using a method that matches the original installation. Furniture Placement. Relocate furniture occasionally to distribute traffic patterns. Displace the furniture just a little (about 1″-2″) when you vacuum to prevent the carpet’s pile from being permanently crushed. Furniture Legs. Carpet can tolerate a limited amount of pressure per square inch (PSI). Prevent indentations due to heavy weight concentrated upon the legs of furniture by using casters with a flat undersurface made of glass or hard plastic. A caster should be no less than 3 inches in diameter, depending upon the weight of the object. A wide caster will disperse the weight of the furniture better than a narrow caster. Chair Mats. Chair pads are required under desk chairs (including those with roller casters) to preserve appearance, prevent accelerated wear, and act as a deterrent toward delamination. The thickness and flexibility of the carpet and cushion determines the thickness and rigidity needed in the chair mat. Direct-glued carpet without cushion will need a mat of 110 mils (0.11″) thickness. Carpet and cushion thicker than 1 inch will need a mat of 170 mil (0.17″) thickness. Purchase a mat with cleats to grip the carpet’s pile. Moving Furniture and Heavy Equipment. Sliding or dragging furniture or equipment over your carpet may snag or tear the yarn. This advice is especially important if your yarn has a loop construction. Rolling a heavy load over your carpet may cause wrinkles or damaged the structure. Appliances and pianos present risks. At a minimum, use 1/4-inch hardboard runways. See our expanded guide, How to Protect Flooring, to learn more. The Plywood and Masonite section and the Moving Tools section are most applicable. General Renovations, Painting, or Major Events. If you will be renovating, painting, moving in or out, etc., then read our guide, How to Protect Flooring. Pets. Be mindful that both cats and dogs are, at times, tempted to turn the edge of carpet into a toy. As with humans, pets can track in dirt, mud, etc., so attempt to keep your pet's paws clean. Keep your pet's nails trimmed so that its nails are not caught in the yarn. Finally, address urine and other accidents as quickly as possible. Rinsing is the key to success by an application of cold water and concentrated extraction using a wet-dry vacuum or an equivalent machine. (See our stain removal guide.) Check the instructions provided by the manufacturer. Plants. Do not set a potted plant directly on your carpet. Excess moisture migrating from the plant may ruin the floor. Place a waterproof tray underneath. Over time, your floor may oxidize from light at a different rate than exposed flooring, as would be caused by a rug covering your floor. Temperature. A steady temperature is best for all flooring products. Maintain temperatures between 65°F and 85°F to avoid substantial contraction or expansion. Carpet possesses broad tolerance for temperature fluctuations without permanent damage. Cold temperatures make carpet stiff and contract; hot temperatures make carpet flexible and expand, which may manifest by wrinkles. Regular fluctuations in an unregulated environment will cause the carpet to loosen over time. Heat. Avoid placing an appliance directly on your flooring that produces high levels of heat. Refrigerators and ovens are known to produce heat that can permanently damage your flooring. Avoid direct exposure to heat from radiators, hot-air registers, and other heating devices. If you have a radiant floor heating system, be cautious to not exceed the limit (which is commonly at 85°F to 90°F) established by your manufacturer. Excessive heat can cause carpet to discolor or dryrot. Sunlight. Deflect direct sunlight away from carpet to prevent fading and discoloration. HVAC. Change the filters in your air conditioning system regularly to minimize pollen and other airborne particulate.